You are currently browsing the archives for the Tony Sertich category. According to this article, Sen. Bakk has put together reform legislation that eliminates legislators as official final decision makers on IRRRB appropriations. If Sen. Bakk’s legislation passes (it isn’t submitted yet), it ” will return the board to an advisory role to the governor and remedy concerns raised in the Legislative Auditor’s report.” That would eliminate the OLA’s constitutional concerns. It wouldn’t eliminate the Iron Range delegation as ‘advisors’ to the IRRRB, which is the IRRRB’s biggest problem. Sen. Bakk is spinning things by saying that “the language change will address that issue because the board will then be advisory, which would mean board members/legislators would not have the final say in decisions.” From a constitutional standpoint, that’s fine but it doesn’t address the overarching problem. The Iron Range delegation are the overarching problem. Over the past 20 years, the Iron Range delegation voted for legislation, sponsored by Rep. Tom Rukavina, that “allowed the board to bypass the governor.” Rep. Rukavina retired in 2012. The IRRRB should be mothballed ASAP, too. It’s indisputable that some of the projects that the IRRRB funded have produced positive results. Still, that isn’t saying that they’ve done a good job. The IRRRB hasn’t. I wrote here about how the Iron Range doesn’t really have a middle class. According to the IRRRB’s website, the “IRRRB’s mission is to promote and invest in business, community and workforce development for the betterment of northeastern Minnesota.” Based on their own website, they’ve failed miserably. Fixing the IRRRB’s constitutional issues is the least of the IRRRB’s problems. With 20.6% of the people in Hibbing and 26.5% of the people in Virginia living below the Federal Poverty Level, aka FPL, it’s difficult to argue that the IRRRB has worked “for the betterment of northeast Minnesota.” In fact, I’d argue that it isn’t difficult to argue that the IRRRB hasn’t come close to strengthening northeastern Minnesota’s economy. Einstein’s definition of insanity is doing the same thing again and again and expecting different results. It’s foolish to think that the Iron Range delegation will do something constructive as ‘advisors’ when they didn’t do anything constructive when they had final say on spending. HIBBING, MINN. HIBBING, Minn. (AP) _ Lakewood Industries, a Hibbing chopsticks factory that Gov. Rudy Perpich had called a major step in efforts to revitalize northern Minnesota’s Iron Range, has closed. Lakewood Forest Products, the plant’s parent firm in Canada, said Tuesday that it closed the factory because of a financial restructuring. The company said in a press release that it had been talking with a potential overseas investor, but that discussions broke off Tuesday. Discussions with other potential investors are continuing, but management “has determined that in light of the company’s working capital position it is necessary to close the plant until adequate financing sources have been identified and a financial restructuring plan implemented,” the release said. On its first anniversary, the Hibbing plant was criticized by Independent-Republican leaders as a government-backed boondoggle conceived for Perpich’s hometown. Perpich was unavailable for comment on the closing. EVELETH, Minn.— Iron Range Resources and Rehabilitation Board (IRRRB) Commissioner Tony Sertich today announced that New Partners Consultants, Inc. will operate a call center for its customers at Progress Park in Eveleth. The company is finalizing plans to lease the space that formerly housed Meyer Associates, Inc. New Partners will utilize some equipment from the Meyer operation, which is currently under IRRRB’s ownership. Staffing will begin as soon as all agreements are in place, possibly as early as next week. It’s disgusting that Gov. Dayton accused Commissioner Johnson of hucksterism while Gov. Dayton is engaging in hucksterism. Commissioner Johnson is simply fighting for PolyMet and for the streamlining of a process that’s corrupted by rich special interests. By comparison, Gov. Dayton is fine with maintaining the corrupt status quo. Why shouldn’t Gov. Dayton? The activists corrupting the environmental review are Gov. Dayton’s and the DFL’s biggest supporters. Putting the puzzle together, it’s obvious that Gov. Dayton and the DFL don’t want a straightforward, streamlined review process. If it was streamlined, the environmental activists wouldn’t have the multiple opportunities to kill important projects that they hate. Right now, PolyMet and Sandpiper top their list of projects to kill. Gov. Dayton and the DFL don’t share Minnesota’s priorities. They’ve proven that by calling people names without explaining why they’re fighting for the corrupt status quo. Yesterday, Gov. Dayton got out of control, criticizing his first boss for being a huckster. I’m not even sure he realizes what he did. It was a company with direct ties and allegiance to the Democratic Party. After Republican President Richard Nixon’s resignation over the Watergate scandal the business created an “innovative small donor fundraising program called the Dollars for Democrats program,” according to the Meyer Teleservices website. 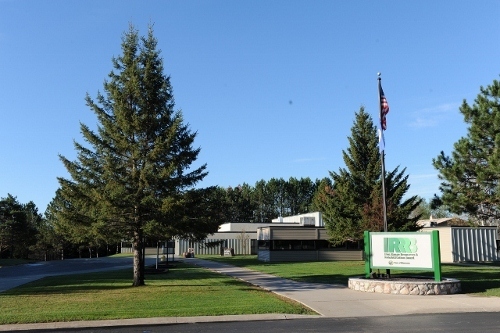 EVELETH, Minn.— Iron Range Resources and Rehabilitation Board (IRRRB) Commissioner Tony Sertich today announced that New Partners Consultants, Inc. will operate a call center for its customers at Progress Park in Eveleth. The company is finalizing plans to lease the space that formerly housed Meyer Associates, Inc. New Partners will utilize some equipment from the Meyer operation, which is currently under IRRRB’s ownership. The Minnesota offices of Dollars for Democrats went bankrupt a few weeks ago, leaving Minnesota taxpayers on the hook for $650,000 in unpaid loans from the IRRRB. What’s disgusting beyond the stupidity of making $650,000 worth of loans to a company on the verge of bankruptcy is that taxpayers were paying for a political operation. That shouldn’t happen. Ever. Still, it’s happened twice in the past couple months. Government, whether it’s state or federal government, shouldn’t make loans or give grants to political operations. Period. If a political party wants to open a call center or coordination center, they should do it with their own money. Taxpayers shouldn’t finance political operations. How can the IRRRB or New Partners say that getting equipment from a bankrupt company is investing businesses, communities or workforce development? In 2007, Paul began the Obama for America campaign as State Director for the Iowa caucuses. For nearly a year, Paul and his team built the largest grassroots organization in caucus history. The year culminated with an Obama win in January 2008, a win that launched his historical campaign. Paul was also instrumental in putting together the blueprint for President Obama’s organizational efforts in the General Election. From 2005-2009, McMahon served as Executive Director of the Democratic National Committee (DNC). There he was one of the principal architects of the ground-breaking “50 state strategy” that transformed and modernized the Democratic Party resulting in historic electoral gains in both 2006 and 2008 at the state, local and federal levels and laying the groundwork for President Obama’s historic win in 2008. From 2000-2004, Cara served as a spokesperson for the Democratic Senatorial Campaign Committee. During her tenure at the DSCC, Cara worked with national political reporters to help frame the nation’s most visible and competitive Senate campaigns as well as develop message for donor communications. The IRRRB, led by former DFL House Majority Leader Tony Sertich, just provided seed money and equipment to a political organization whose goal is to elect Democrats. Minnesota taxpayers shouldn’t have to pay for any political operation from any political party. Period. That’s before talking about whether the business model makes sense. (It doesn’t.) This is what politically motivated crony capitalism looks like. Inevitably, crony capitalism is corrupt, which this operation certainly is. He also praised Virginia Eveleth Economic Development Authority representatives and Gary Owen, former owner of Meyer, for putting a deal together in such a short time. New Partners is more than just a new firm with new people and new ideas. We also represent a new way of doing business. Whether the goal is to win an election, affect reputation, organize an advocacy campaign, raise money, or build a movement, our extensive expertise and groundbreaking strategies will get results. We are all operating in a new environment based on a fundamental shift in how we organize, how we communicate and how we advocate. From the campaign that defeated President Bush’s plan to privatize Social Security, and implementing Governor Howard Dean’s landmark 50 State Strategy, to spearheading an innovative and successful development effort for the One Campaign, and the unprecedented Iowa caucus campaign that led to President Obama’s breakthrough victory, the team at New Partners has been at the epicenter of that shift. What we have learned from our experience is that no two issues, organizations or campaigns are the same. Each requires a unique approach based on new ideas and new strategies that will lead to new results. That means that the IRRRB is spending taxpayers’ money on a company committed to electing Democrats. The list of New Partners’ leadership reads like a who’s who from the Obama campaign. If the Democratic Party want to put an organization together, that’s their right. It’s just that this type of operation shouldn’t be paid for by taxpayers. And there’s no question it’s being funded by taxpayers. That’s the IRRRB’s way. The IRRRB hasn’t met a project benefitting the Democratic Party that they didn’t like. The DNC should finance this operation. Minnesota taxpayers shouldn’t finance it. Having taxpayers finance the DNC’s operations is the definition of crony capitalism meeting single party government. That’s the definition of corruption. The company was founded in St. Cloud in 1977; opened its Little Falls office in 1999; and then launched on the Range in Eveleth in 2007. It was a company with direct ties and allegiance to the Democratic Party. After Republican President Richard Nixon’s resignation over the Watergate scandal the business created an “… innovative small donor fundraising program called the Dollars for Democrats program,” according to the Meyer Teleservices website. The St. Cloud-based company also leaves behind a debt of about $250,000 to the Iron Range Resources & Rehabilitation Board, which had issued two loans totaling $650,000 to the business for its Eveleth facility. I’d ask which idiots were stupid enough to make a second loan to the company but we know which idiots made the second loan. I even think we know why they made that second loan. The IRRRB, aka DFL North, made that second loan to keep the fundraising operation going through the last election. Fundraising through telemarketing was its major service and revenue source. But the business model proved too outdated in recent years for today’s mobile phone society. “Land lines are decreasing eight to twelve percent per year. And because of court rulings we can’t, we can’t consciously dial cell phone numbers. And a lot of politicians are now using the Internet to raise funds,” Owen said. The first question that I have is simple. It’s impossible to think that the IRRRB cared about taxpayers if they knew this information. And it’s impossible to think they didn’t know this information. They aren’t that ignorant. Legally, the DFL doesn’t owe Minnesota’s taxpayers a penny for this. Morally, they’re guilty of shafting Minnesota’s taxpayers out of hundreds of thousands of dollars. Additionally, Mssrs. Meyer and Owens should’ve paid back the loan rather than keeping the fundraising operation afloat. EVELETH — Meyer Teleservices in Progress Park has closed its doors on the Iron Range, leaving 104 people unemployed. Meyer Teleservices also on Monday shuttered its other Minnesota offices in St. Cloud and Little Falls. Owen bought the company from employee ownership last October and said he subsequently lost all of his retirement savings and took out two property mortgages in an effort to keep the business going. Meyer also infused the business with $380,000 last year, to no avail. The equipment is collateral for the IRRRB loans, but Commissioner Tony Sertich said in a telephone interview Tuesday evening that he is right now more concerned with the workers who lost their jobs. How does lending money to a DFL phone bank “promote workforce development and sustainable communities”? How does lending money to a DFL fundraising operation provide for “the betterment of northeastern Minnesota”? How many other DfL operations has the IRRRB loaned to other companies? How many pro-DFL operations have received “a variety of grants” available to “education institutions and nonprofits”? The loan to Meyer Teleservices was approved in 2007, which means that David Dill and Tom Bakk almost certainly voted to approve this ‘loan.’ Aside from the cronyism, it’s worth noting that the IRRRB ‘invested’ taxpayer money in an outdated system that was designed to benefit the DFL. It’s also worth noting that this venture in pro-DFL cronyism lost the taxpayers money before going bankrupt. Is this the type of Minnesota you want to live in? Are these the type of people we want running state government? I’d passionately argue that Mssrs. Sertich, Bakk and Dill are the last people who should have their hands on the levers of state and local government. This is a taxpayer rip-off that specifically benefited the DFL. That type of cronyism/corruption must end ASAP. The Minnesota House speaker will not allow any legislation to pass this year setting an amount PolyMet Mining Corp. should set aside to fix environmental damage done by its proposed copper-nickel mine. One of Thissen’s committees held a 5½-hour meeting this week dealing with how much money the state should require PolyMet to pay up front to clean up any environment issues once the mine closes. PolyMet itself has said perhaps $200 million should be available at mine closure, with a few million more a year for some time afterward. When Yvonne Prettner-Solon announced that she’d gotten tired of being ignored by Gov. Dayton, she created an opening on the Dayton ticket. Rather than picking Tony Sertich, Gov. Dayton picked Tina Smith, creating an all-Minneapolis ticket. This time, Speaker Thissen is saying he won’t lift a finger to help out the Iron Range. It’s worth noting that Thissen is the quintessential Minneapolis Metrocrat. He’s danced the environmentalists’ tune every time they’ve demanded it of him. At some point, the blue collar workers of the Iron Range will have to ask whether Gov. Dayton, Speaker Thissen and Alida Messinger care about them after they’ve cast their votes for the DFL. Thus far, the Metrocrats have proven that they’re interested in the Iron Range’s support at the polls. What’s worse is that the Metrocrats have shown that they’re totally disinterested in supporting the Iron Range’s pro-mining agenda. It’s true voters don’t walk into a voting booth and say “I can’t vote for this ticket because it isn’t geographically balanced. That said, there’s tons of reasons for Iron Rangers to abandon the DFL, starting with the indisputable fact that Alida Messinger, the biggest funder of the DFL, hates mining. Our goal is to provide a resource for Minnesotans to get the facts about sulfide mining and its impacts. Today, there is little awareness and even less understanding about proposed sulfide mining projects in northern Minnesota. Our state has important choices to make that impact every Minnesotan. The more people who participate in these decisions, the better the outcome. Learn more about sulfide mining. Founding partners of Mining Truth are Friends of the Boundary Waters Wilderness, Minnesota Center for Environmental Advocacy, Conservation Minnesota. See the full list of supporters. “We do have this process in place,” the speaker said. “It feels like the information is getting out there. I feel this is going to be an extensive process.” Thissen said fellow House Democrats, who hold a majority of the votes, do not appear to be leaning “one way or the other” on the PolyMet issue. That’s pure BS. The Twin Cities DFL want to kill the PolyMet and Twin Metals projects. The Iron Range DFL want those project built ASAP. Politics is definitely a what-have-you-done-for-me-lately proposition. Lately Metro DFL legislators have given the Iron Range the shaft. They just didn’t give them the mine to go with it. Corruption In HD-5B Special Election? St. Paul- Republican Party of Minnesota Chairman Tony Sutton today called on Hibbing City Clerk Pat Garrity to recuse himself from his official duties in the February 15, 2011 House District 5B special election due to his political support for Democrat Carly Melin. First things first. Carly voted in the August 10th DFL primary in St. Paul. How would Mr. Garrity know whether she’d “make a great contribution” to the district? Is that opinion solely based on the fact that she’s got a D behind her name? Mr. Garrity’s enthusiastic endorsement of Melin calls into question whether he’d be an unbiased election official in this special election. Still, that’s only part of the story. A faithful reader of this blog attended the debate last night. This faithful reader called me and said that Aaron Brown of Minnesota Brown introduced the moderator of the event. This reader said that there were supposed to be 8 questions for the event. At the end of the event, Brown was able to get a ninth question to the moderator. My contact didn’t say that it was a softball but I suspect it was. Brown certainly wouldn’t rush a difficult question to the moderator to make his candidate look bad. This special election has all the feel of a fair fight as defined by Richard Daley machine politics rules. We aren’t sure that Melin is qualified as a resident. The city clerk, who supervises elections in Hibbing, has endorsed the DFL candidate even though she hasn’t lived in Hibbing in years. Now we find out that the agreed-to format was altered by the event moderator. Thank goodness there’s no hint of corruption in this special election.